It’s undeniable that the internet has changed the world. As a part of this world, games are no exception. 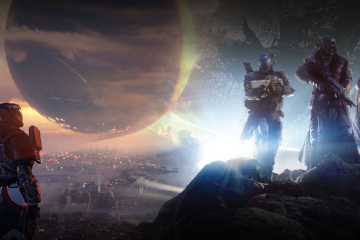 The web allows players to game with one another, and lets developers engage their audience like never before. It’s also affected game design in many ways, some more obvious than others. In contrast to the early 90’s, when all we had were monthly gaming magazines and expensive player’s guides, players can now use the internet to help them overcome obstacles when they get stuck. This is both a blessing and a curse, because obstacles are what make games interesting. Imagine basketball with eye-level hoops, no key, or without having to dribble! It would be a boring game. For the completionist gamer, one of the fundamental obstacles of games is collectibles. These items can take dozens of hours of exploring to find. With the internet, though, the existence of collectible items is drawn into question. If a player can simply pull out their phone and do a Google search to find where they are, what’s the point? One way to overcome this problem could to make collectibles more difficult to access. This would seem like a good idea, because as we established, obstacles are interesting. However, the extra difficulty needed to compensate for the meta-knowledge granted by the internet would punish players that are genuinely interested in finding the items on their own. In this case, it would be both difficult for those who looked up how to get the item, and downright frustrating for those who didn’t. Harder obstacles isn’t the answer. The internet isn’t going anywhere, and because of this, developers need to embrace it as a challenge to overcome. Specifically, they need a test to measure the effectiveness of in-game collectibles. 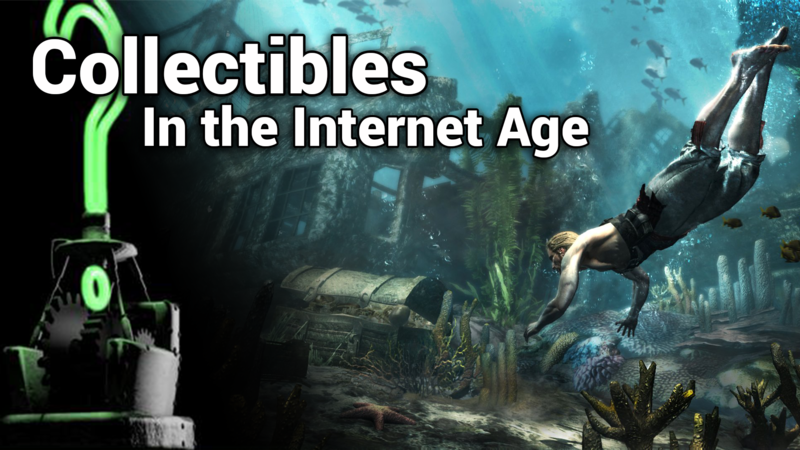 In order to meet the perfect balance of difficulty and accessibility, collectibles need to pass the Google Test. It’s quite simple; collectible items need to be one degree more convenient to find in game than they are to be searched for on a smartphone or tablet. In order to do this, the items need to be hidden off the main path, but their location must remain accessible. 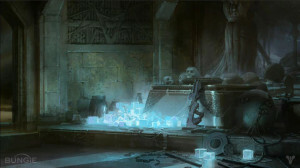 Instead of the player looking up the items online, they will be inclined to consult the in-game data, designed to give them clues and to encourage deeper exploration. One game that nails this concept is Assassin’s Creed IV: Black Flag. AC4 has a ridiculous amount of collectibles, from weapon and armor upgrades, to blueprints for ship enhancements, to sheets of music that can be used to unlock new shanties for one’s crew to sing… so, how do these stand up to the Google Test? Every single one of the collectibles mentioned above, and more, can be found on the player’s map. The catch is that the map isn’t populated with the items until the player captures more outposts and synchronization viewpoints. This does two things: it rewards players for exploring the entire game, and simultaneously allows for further micro-exploration of each new area. 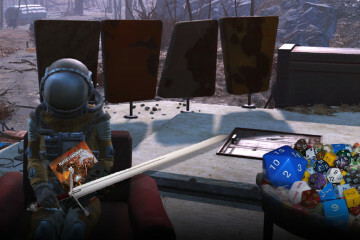 Simply stated, as players are naturally exploring the world during their playthrough, they’re also being rewarded with data they can use to grab some extra gear and content. Ubisoft even went as far as to make the Assassin’s Creed IV: Black Flag Companion app, available for the iPad. The app features a fully interactive map of the Carribean waters featured in the game. 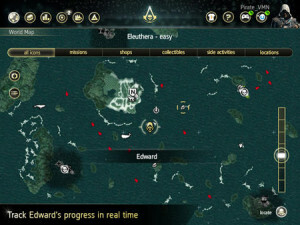 Players can view objectives, track their progress, and set real-time waypoints for their ship to follow. This game/app combo passes the Google Test with flying colors. Players will inevitably look up the specific ship plans or character equipment that they want online. At the end of the day, though, AC4 does a great job reconciling with the obstacles that the internet has brought to the nature of in-game collectibles. After all, obstacles do keep things interesting! What are some of your favorite in-game collectibles?